We regularly work with local and national NHS organisations to capture the stories of patients and staff. Earlier this year, we worked alongside The Northern Care Alliance NHS Group to showcase the maternity services being offered at The Royal Oldham Hospital. 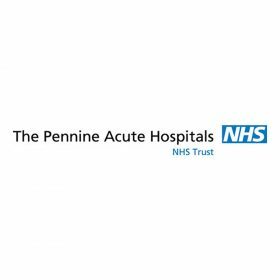 We were commissioned by The Northern Care Alliance NHS Group to produce a series of videos to highlight the full range of maternity services on offer at The Royal Oldham Hospital. The client wanted the videos to showcase the different areas including the labour ward, the antenatal ward, the postnatal ward and the fetal unit. We produced a main video which encompassed all of these services, as well as three shorter videos showing just one of the areas to share in their social media campaign. We also produced a number of personal case studies, where mothers spoke about their journey through maternity at The Royal Oldham Hospital. The process involved capturing a wide variety of footage including baby scans, families on the postnatal ward and midwives in a community setting. We interviewed a range of maternity staff as well as mothers talking about their experience.